In Nigeria, cooking fuels are very important in the life of every household because most of the food items must be heated, smoked, dried or cooked before consumption. As an indispensible part of life, a study was conducted to determine households access and preference to cooking fuels in Abuja, Nigeria. Multi-stage sampling technique was adopted for sample selection while structured questionnaires were used for data collection. A total of 216 rural households were randomly interviewed in four agricultural zones. Data were analyzed using two-way mixed factorial analysis of variance and mean separation was done at 5% probability level. Results showed that, there were significant differences (p<0.01) in households access and preference to some of the cooking fuels. The mean responses indicated that the most accessible and preferable cooking fuel was firewood with mean access and preference values of 3.25 and 2.69, respectively while the least accessible and preferable cooking fuel was cooking gas. Similarly, there were significant (p<0.01) interaction effects of cooking fuels and locations implying that access and preference to each of the cooking fuels were not the same in some of the agricultural zones. Based on the results, it was concluded that households access and preference to some of the cooking fuels significantly differed and that firewood was the most accessible and preferable cooking fuel in the study area while cooking gas was the least. It was recommended that campaign on agro-forestry should be intensified to replace felled trees that were used as firewood. Ajah Julius , 2013. Households Access and Preference to Cooking Fuels in Abuja, Nigeria. Journal of Environmental Science and Technology, 6: 91-98. In Nigeria, a household consists of a person or group of persons living together usually under the same roof or in the same building/compound, who share the same source of food and recognize themselves as a social unit with a head of household (NPC, 2006), In 2006, census exercise put the population of Nigeria at 140,431,790 people with 30,541,248 households. Abuja, the Federal Capital of Nigeria, had 1,406,239 people with 238,574 households (NBS, 2009). This brings to light the number of households that depend on one form of cooking fuel or the other in Nigeria and Abuja in particular. No matter the number of persons in the households, they must process the food items before consumption. Although, some of the food items like fruits and vegetables may be consumed raw, the fact still remains that most of the food items must be either smoked, cooked, dried or heated before consumption hence the relevance of fuel in the life of every household is not debatable. Apart from food processing, Jatau et al. (2006) stated that the economic activities of most societies depend on the availability of fuel because according to the author, it is a necessary ingredient of social, political and physical development. As a developing economy, the major sources of cooking fuel in Nigeria are firewood (fuelwood), electricity (electric stoves, electric heater, electric cooker), charcoal, kerosene and cooking gas (Liquid Petroleum Gas). Despite the abundance of natural resources like oil, gas and high potential for hydro-electric power in Nigeria, report by Maduka (2011) indicated that Nigeria relied so much on traditional energy sources like firewood (fuelwood), bagasse and crop residues for her daily energy needs. An estimated 55% of Nigerias primary energy requirements according to Maduka (2011), come from firewood, biomass, charcoal and animal waste and these are primarily used for heating and cooking at home. Also, Nigerias fuel wood consumption according to Maduka (2011) is about 80 million cubic meters. This shows that biomass fuel is the commonest source of household energy in Nigeria. The demand for energy has continued to increase not only in Nigeria but in other developed and developing countries of the world due to increasing population, improved standard of living and growth of manufacturing industries (Adedayo et al., 2008). In Abuja, studies conducted by Ishaya et al. (2010) indicated that Abuja experienced an increased pace of urbanization due to the rapid rate of its development and the influx of people into the territory. With the increased pace of urbanization in Abuja and in view of the fact that energy is one of the most important components of sustainable development, affecting peace and security, the environment, social and economic growth (Jatau et al., 2006), the questions are: What is the most accessible and preferable cooking fuel to rural households in Abuja, Nigeria? Are there zonal differences in households access and preference to cooking fuels? The answers to the questions are very important because policy analysis and thinking concerning fuel choice is usually rooted in the concept of the energy ladder. The energy ladder theory states that in response to higher income and other variables, households will shift demand from traditional biomass and other solid fuels to more modern and efficient cooking fuels like Liquid Petroleum Gas (LPG), kerosene, natural gas, or even electricity. The movement or process involving a shift from traditional energy sources to a more modern energy is usually termed fuel switching or interfuel substitution (Barnes and Qian, 1992; Hosier and Kipondya, 1993; Leach, 1992). In this model, emphasis is placed so much on income in the explanation of fuel choice and fuel switching. The energy ladder model presents a picture of a three-stage fuel switching process. The first stage depicts a universal dependence on biomass fuel. In the second stage, households transit from biomass fuel to such other fuels like kerosene, coal and charcoal in response to higher incomes and factors such as deforestation and urbanization. In the third phase, households switch to Liquid Petroleum Gas (LPG), natural gas, or electricity. The major force influencing the movement up the energy ladder is hypothesized to be income and relative fuel prices (Leach, 1992; Barnes and Floor, 1999). The key achievement of the energy ladder model is its ability to capture the strong income dependence of fuel choices. But the question is: Is it only income that determines households fuel choice and fuel switching? Apart from income, what of access and preference to cooking fuels which can, among other variables, determine to a large extent, the quality and quantity of cooking fuels that would be consumed by households at any given time and in any given location? Switching from one energy level to another can be affected by the households level of access and preference to the physically available cooking fuels in the area. Contrary to the energy ladder concept which sees household income as a major determinant of fuel choice and fuel switching, the objectives of this study are to: (1) determine households most accessible and preferable cooking fuel, (2) determine the least accessible and preferable cooking fuel to the households, (3) determine if significant differences exist in the households access and preference to the cooking fuels in the study area. The study was conducted in Abuja, the Federal Capital of Nigeria. It is located between latitudes 8°25` and 9°25` North of the equator and longitudes 6°45` and 7°45` East of Greenwich. The population for the study comprised all the rural households in the study area. For effective coverage, multi-stage technique was adopted for sample selection while structured questionnaires were used for data collection. Presently, Abuja Agricultural Development Programme. (AADP) has four agricultural zones-Central, Eastern, Northern and Western Zones-with twelve agricultural blocks and ninety three cells In the first stage, all the four agricultural zones were selected. In the second stage, all the twelve agricultural blocks were also chosen. From each of the agricultural blocks (third stage), six cells were randomly chosen given a total of 72 cells. In the fourth stage, three households heads (male or female) from each of the cells were randomly selected and interviewed. This gave a total of fifty four respondents in each agricultural zone. For the four agricultural zones, a total of 216 respondents (households) were used for the study. Equal number of households was interviewed in the four agricultural zones because of the method of analysis adopted (i.e. the two-way mixed analysis of variance). By implication, the fifty four households interviewed in each of the agricultural zones served as replications. where, Yij is the individual households response regarding access/preference to each of the cooking fuels, μ is the general mean, Ti is the effects on access/preference due to the type of cooking fuels, Lj is the effects on access and preference due to households location in Abuja, TLij is the interaction effects of cooking fuels and locations and eij is the error term. This is a repeated measure ANOVA (Andy, 2005) and by implication, the model tests the hypotheses that households access and preference to cooking fuels (Yij), depends on the type of cooking fuel (Ti), the location of the household in Abuja (Lj) and the interaction effects of cooking fuels and locations (TLij). 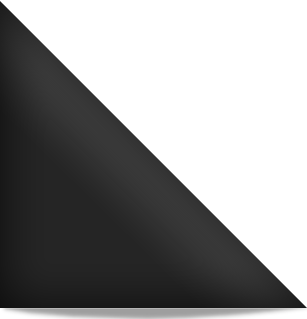 The μ (population mean) is the grand mean of the scores empirically obtained. It has a constant value and thus does not contribute to any variation in the observed differences (Aggarwal, 2002) while eij is the error term. The data collected from households on their access and preferences to the cooking fuels were analyzed separately using the above model. Households levels of access to each of the five cooking fuels (firewood, charcoal, kerosene, electricity and cooking gas (Liquid Petroleum Gas) were verified using: very highly accessible (4), highly accessible (3), fairly accessible (2), very low access (1) and not accessible at all (0) while level of preference was verified using very highly preferred (3), highly preferred (2), fairly preferred (1), not preferred (0). The above scores were used in the analysis in line with the method adopted by Andy (2005), David (2004), Fredrick and Wallnau (2004), Shah and Madden (2004), Harry and Steven (1995) and Fred (1977). SPSS 15.0 package was used to run the analysis and mean separation was done using Bonferroni model. It was tested at 5% probability level. Table 1 shows the ANOVA results of the households access to cooking fuels. The result, F (4, 848) = 324.67, p = 0.00, indicated that irrespective of location, there was significant (p<0.01) difference in households access to some of the cooking fuels. In other words there was significant (p<0.01) difference in the mean responses of the households regarding access to some of the cooking fuels. Similarly, the result, F(12, 848) = 15.10, p = 0.00, revealed that there was significant (p<0.01) interaction effect of cooking fuels and locations. Furthermore, the ANOVA result, F(3, 212) = 26.65, p = 0.00, showed that households access to all the cooking fuels significantly differed (p<0.01) in some of the agricultural zones (locations). Based on the ANOVA results, mean separation was done (Table 2) and the results showed that irrespective of location, the most accessible cooking fuel was firewood (3.25) followed by kerosene (2.20), charcoal (1.94) and electricity (1.14) while the least accessible was cooking gas (0.22). This agrees with the report by Maduka (2011) which indicated that citizens from developing countries like Nigeria have very limited or no access to modern energy systems and services and rely solely on traditional fuel sources such as firewood, biomass, charcoal and animal waste for heating and cooking within their homes. The finding of this study equally agrees with that of Shaad and Wilson (2009) which indicated that cooking is the most important energy need for most Nigerians and that 67% of the population uses wood or charcoal as a cooking fuel. By implication, if 67% uses cooking fuel or charcoal, only thirty three percent uses other forms of cooking fuel. In Zimbabwe, a study report based on an ordinal data by Campbell et al. (2003) revealed a transition by households in urban cities from wood to kerosene. This transition from wood to kerosene may not necessarily be due to income alone but could be as a result of access to kerosene. Table 3 shows the ANOVA results of the cooking fuels which the households preferred to use. The results, F(4, 848) = 273.00, p = 0.00, indicated that irrespective of location, households preference to use some of the cooking fuels significantly (p<0.01) differed. Again, the result, F(12, 848) = 13.76, p = 0.00, indicated that there was significant (p<0.01) interaction effect of cooking fuel and location. In other words, households preference to use any of the cooking fuels depended on the type of cooking and households location in the study area. In addition, the result, F(3, 212) = 24.50, p = 0.00, revealed that the main effect of location was also significant (p<0.01). In other words, there were locational differences in the households preference to use some of the cooking fuels in Abuja. Based on the ANOVA results, mean separation was carried out and results (Table 4) indicated that the most preferred cooking fuel in the study area was firewood (2.69) followed by charcoal (1.66), kerosene (1.65) and electricity (1.07) while the least preferred cooking fuel was cooking gas (Liquid Petroleum Gas) with mean response value of 0.23. Comparing the results on access to that of preference, it can be inferred that there is a relationship between households access and preference to cooking fuels. This is so because the order of access and preference to cooking fuels was the same. In both analysis, the most accessible and preferable cooking fuel was firewood. The high access and preference to firewood may be attributed to the fact that an estimated 60-70% of the Nigerian population according to CREDC (2007) did not have access to electricity. The high cost of kerosene and the dangers involved in using it may have also been one of the reasons why the households preferred firewood. Kerosene lamps provide poor lighting and are expensive, inefficient, highly polluting and dangerous. Adulterated and low quality kerosene according to CREDC (2007), is widely available on the black market and has been recorded as being responsible for several explosions that have resulted in severe injuries and deaths in Nigeria. Its prices fluctuate with that of crude oil in the international market and supply has been unreliable with Nigerians being forced to depend on expensive black market sources for basic needs (Olise and Nria-Dappa, 2009). In the order of access and preference, electricity which is the basic source of global energy, took the fourth position. This goes to confirm the report of Shaad and Wilson (2009) which indicated that inadequate power generation and transmission, limited access to the national grid and generator fuel costs are persistent problems for nearly every Nigerian. IEA (2002) stated that four out of five people without electricity live in rural areas of the developing countries for which Nigeria is one. According to United Nations (2008), 97% of firms in Nigeria, 73% in Bangladesh, 36% in Honduras and 33% in the Philippines identified poor electricity service to be a severe obstacle to business operation and growth. It is not peculiar to Nigeria because Surveyor (2007) stated that Africas electricity consumption is low because majority of the population had no access to electricity. Poor access to electricity may have contributed to the high preference for firewood in the study area. The results of this study have important implications in the society or environment. The implications are multidimensional because, first, firewood is a product of deforestation and the findings from the study indicated that the most accessible and preferable cooking fuel by rural households in Abuja, Nigeria was firewood. This has a lot of policy implications and must be taken seriously by the Federal Government of Nigeria and the International Communities because trees and shrubs are very important in the improvement of soil fertility. Felling down of trees and shrubs by households due to unrestricted access and the desire (preference) to cook with firewood imply that the fertility of soil will drop because the trees and shrubs will no longer be there to perform their natural roles.. It will also accelerate soil degradation and create desert-like conditions (Solomon and Gambo, 2010). To portray the extent of deforestation in Nigeria, a study conducted by UNSN (2001) in the Northern Nigeria indicated that the annual deforestation of woodland ran to about 93, 000 km while Nigeria, as a country, consumes 50-55 million cubic meters of woods annually. This approximately reflects accessibility and preference of households to forest resources. This has to be addressed because the over reliance on traditional energy sources according to Surveyor (2007), leads to low level of energy efficiency, deforestation and biodiversity loss among other things. The World Health Organization (WHO) estimated that 2.5 million women and young children in developing countries die prematurely each year from breathing the fumes from indoor biomass stoves. Biomass smoke, according to the report, contains many noxious components, including respirable particulates, carbon monoxide, nitrogen oxides, formaldehyde and polyaromatic hydrocarbons (Mishra et al., 1999). High exposures to these air pollutants have been shown to cause serious health problems. A study by Maduka (2011) revealed that women exposed to indoor smoke are three times likely to suffer from chronic obstructive pulmonary disease, such as chronic bronchitis than women who cook with electricity, gas or other cleaner fuels. Apart from deforestation and health challenges, Bizzarri (2009) also stated that black carbon emissions from biomass fuels are a major source of global climate change. This has to be seriously considered because Mani et al. (2009) stated that global warming which is one of the negative consequences of climate change, has led to the decrease in the number and quantity of rainfall. Global warming, the author said, reduces the moisture available to crops. The importance of cooking fuels in the life of every household is not debatable because most food items must be cooked, smoked, dried or heated before consumption. Because of the indispensible roles of cooking fuels in our society, a study was conducted to determine households access and preference to cooking fuels in Abuja, Nigeria. Data were collected from households in the four agricultural zones and results indicated that there was significant difference in the households access and preference to some of the cooking fuels (fuelwood, electricity, charcoal, kerosene and cooking gas Liquid Petroleum Gas (LPG). Mean separation indicated that the most accessible and preferable cooking fuel was firewood while the least accessible and preferable was cooking gas (LPG). Since firewood is got from the felling of tress and shrubs, it was strongly recommended that Nigerian government at all levels and non-governmental organizations should intensify campaign on agro-forestation to replace the destroyed trees and shrubs in the forest because of the negative implications in the society. Adedayo, A.G., F.A. Sale and O. Koleh, 2008. Rural household wood energy utilization pattern and its impact on deforestation in Akoko South-West L.G.A., Ogun State, Nigeria. Proceedings of the 1st National Conference of the Forests and Forest Produce Society, April 16-18, 2008, Nigeria, pp: 15-164. Aggarwal, Y.P., 2002. Statistical Methods, Concepts, Applications and Computations. 2nd Edn., Sterling Publishers Ltd., New Delhi, India. Andy, F., 2005. Discovering Statistics Using SPSS. 2nd Edn., SAGE Publications, London, pp: 427-482. Barnes, D. and W. Floor, 1999. Biomass energy and the poor in the developing countries. J. Int. Affairs, 53: 237-259. Barnes, D.F. and U. Qian, 1992. Urban interfuel substitution, energy use and equity in developing countries. World Bank Industry and Energy Department Working Paper, Energy Series Paper 53, Washington, DC., USA. Bizzarri, M., 2009. Safe access to firewood and alternative energy in Uganda: An appraisal report. pp: 1-33. http://www.genderconsult.org/res/doc/SAFE_Uganda.pdf. CREDC, 2007. Promoting renewable energy and energy efficiency in Nigeria. Proceedings of the a One-Day Conference on Promoting Renewable Energy and Energy Efficiency in Nigeria, November 21, 2007, University of Calabar Hotel and Conference Centre, Nigeria, pp: 1-50. Campbell, B.M., S.J. Vermeulen, J.J. Mangono and R. Mabugu, 2003. The energy transition in action: urban domestic fuel choices in a changing Zimbabwe. Energy Policy, 31: 553-562. David, C.H., 2004. Fundamental Statistics for the Behavioral Sciences. 5th Edn., Thompson Brooks, Belmont, CA., USA., pp: 355-437. Fred, N.K., 1977. Foundations of Behavioral Research. 2nd Edn., Holt Rinehart and Winston Inc., Great Britain, pp: 483-569. Fredrick, G.J. and B.L. Wallnau, 2004. Statistics for the Behavioral Sciences. 6th Edn., The Omson Learning Inc., USA., pp: 395-471. Gray, C.D. and P.R. Kinnear, 2012. IBM SPSS Statistics 19 Made Simple. Psychology Press East Sussex, UK., Pages: 688. Harry, F. and C.A. Steven, 1995. Statistics: Concepts and Applications. Cambridge Univ. Press, Great Britain, pp: 853. Hosier, R.H. and W. Kipondya, 1993. Urban household energy use in Tanzania. Energy Policy, 21: 454-473. IEA, 2002. Energy and poverty. IAEA Bulletin, International Energy Agency, Paris, pp: 24-29. Ishaya, S., P.D. Dawa and U.D. Ngosi, 2010. Impact assessment of urbanization on land cover in Abuja municipal and Bwari area councils of the FCT using geo-informatics techniques. Int. J. Agric. Rural Dev., 1: 106-115. Jatau, D.F., E.E. Dishan and H. Bonkary, 2006. Domestic energy consumption pattern in Zinder State, Niger republic. Proceedings of the 31st Annual Conference of the Forestry Association of Nigeria, Markudi, November 20-23, 2006, Nigeria, pp: 351-358. Leach, G., 1992. The energy transition. Energy Policy, 20: 116-123. Maduka, J.O., 2011. Popularizing the use of Liquefied Petroleum Gas (LPG) as a substitute for fuel wood among women in Nigeria. Proceedings of the 3rd International Conference of the African Renewable Energy Alliance on Renewable Energy and Gender, June 29-July 1, 2011, Abuja, Nigeria -. Mani, H., I.S. Usman and S.G. Ado, 2009. Performance of early maturing drought tolerant maize variety at Samaru, Kaduna and Tiga, Kano state. Proceedings of the 43rd Annual Conference of Agricultural Society of Nigeria, October 19-23, 2009, Abuja, Nigeria, pp: 29-23. Mishra, V.K., R.D. Retherford and K.R. Smith, 1999. Biomass cooking fuels and prevalence of blindness in India. J. Environ. Med., 1: 189-199. NBS, 2009. Social statistics in Nigeria. Federal Republic of Nigeria, National Bureau of Statistics, Nigeria, pp: 1-418. http://www.efiko.org/material/Social%20Statistics%20in%20Nigeria%20by%20NBS.pdf. NPC, 2006. Population and housing census enumerators manual. Federal Republic of Nigeria, National Population Commission, Nigeria, pp: 1-16. Olise, M. and T. Nria-Dappa, 2009. Overcoming Nigeria's energy crisis: Towards effective utilisation of associated gas and renewable energy resources in the Niger Delta. Social Action Briefing No. 2, pp: 1-12. http://www.saction.org/home/saction_image/overcoming_nigeria_energy.pdf. Shaad, B. and E. Wilson, 2009. Access to Sustainable Energy: What Role for International Oil and Gas Companies? Focus on Nigeria. IIED, London, UK., ISBN-13: 9781843697183, Pages: 38. Shah, D.A. and L.V. Madden, 2004. Nonparametric analysis of ordinal data in designed factorial experiments. Phytopathology, 94: 33-43. Solomon, B. and D. Gambo, 2010. The effects of desertification on agriculture: An examination of the North-East region of Nigeria. J. Res. Agric., 2: 50-54. Surveyor, E., 2007. Energy, development and climate change: The Nigerian consideration. Proceedings of the a One-Day Conference on Promoting Renewable Energy and Energy Efficiency in Nigeria, November 21, 2007, University of Calabar Hotel and Conference Centre, Nigeria, pp: 12-17. UNSN, 2001. Nigeria Common Country Assessment. United Nations System in Nigeria, Nigeria, Pages: 222. United Nations, 2008. Energy, development and security: Energy issues in the current macroeconomic context. United Nations Industrial Development Organization, pp: 1-16. http://www.unido.org/fileadmin/user_media/Publications/documents/energy_development_and_security.pdf.